I have'nt played F4 in awhile. Busy with life and obsessed with The Combat Mission series. 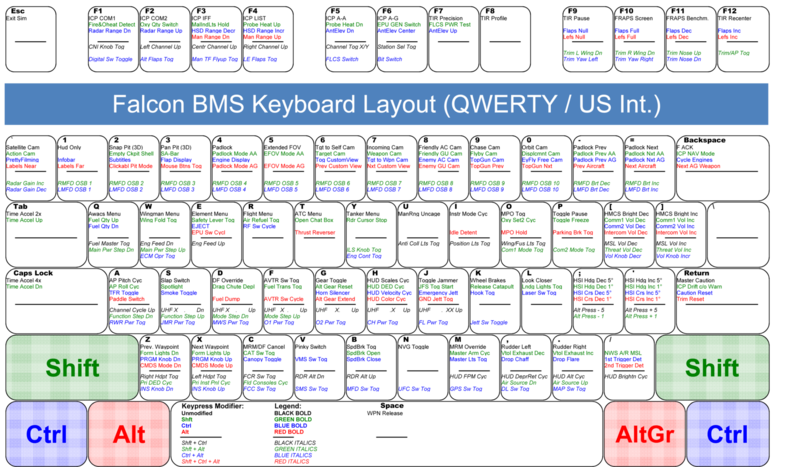 I remember awhile ago there was talk of just having one keyboard map for BMS. 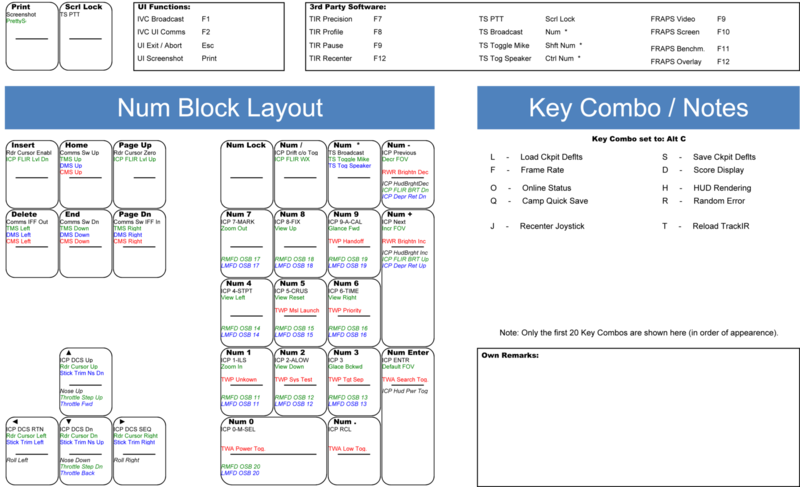 But for me, using the BMS full keyboard, the keys do not correspond to the documentation at all. Am I doing something wrong? Last edited by Silverswift; 12/01/15 12:00 AM. Ha! Haven't posted in awhile. Still same rig. Even though it's way past time to upgrade, still super happy with it still! I thought they revamped the whole system? Some keys should still be the same, like the view keys and whatnot. I only dealt with the Full and Pitbuilder .key, and only enough to merge them together to get my own version. Problem remains. For example, on the Keystrokes.pdf, it says use the unmodified arrow keys to control the radar cursor. I have to use the shift, and the arrow keys. Nothing matches, and I'm using the full keystrokes. Last edited by Silverswift; 12/03/15 04:48 PM. If you are using the Full.key file, navigate to your \Falcon BMS 4.33\Docs\Key Files & Input folder and look at the BMS Key File Editor excel file. Open it. Go to the Keystrokes Editor tab, enter your Keyboard Layout (US Intl), then click on the Import Key File. Navigate to you BMS folder again and load your Full.key file. Just click Yes/Ok to the four pop-ups that follow. Once completed, go to the Keyboard Tab and that will show you what's mapped to where. You can also print that out for your use. Nice, thanks so much Ice, for the help!